GR Engineering was engaged by Rio Tinto to undertake the design and construction of the Paraburdoo Moisture Reduction Project, which involved all structural, mechanical, piping and electrical works for the installation of two 85m2 horizontal vacuum belt filters to improve the dewatering of fines iron ore product. 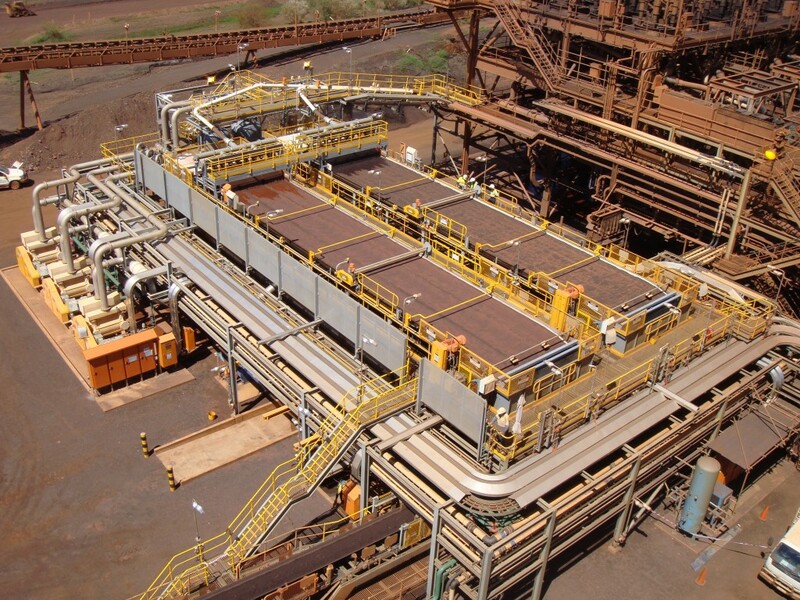 GR Engineering was able to deliver an innovative design solution that provided its client with the flexibility to use the new belt filters and existing dewatering screens to classify and dewater the fines iron ore product. The solution provided by GR Engineering has the flexibility to divert the cyclone underflow onto the existing dewatering screens or across to the new belt filter area to provided minimal impact on production in the event of an outage. The belt filters are fed via a cyclone underflow system which reports to a set of pumping hoppers where the slurry is transferred across to the belt filters for dewatering before being discharged onto a product conveyor and transferred to stockyards.